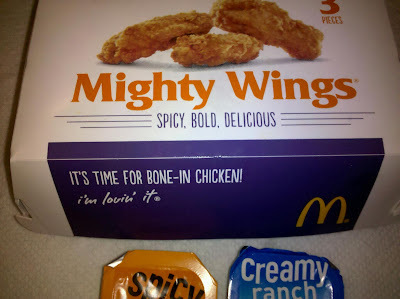 McDonald's Mighty Wings have begun to arrive in Montgomery County, just in time for football season. Watch my review to see how they rate. These chicken wings have a crispy coating, and a Cayenne pepper zing. 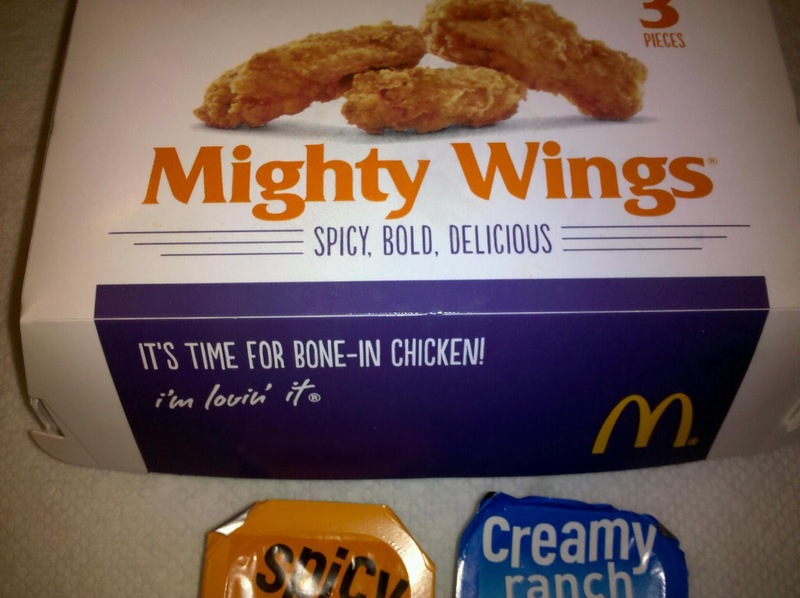 Sauces are just the usual McNuggets choices; I recommend Ranch and Spicy Buffalo. 3 wings will set you back $3.19, minus the additional tax. The wings are scheduled to roll out at all McDonald's locations over the coming days.